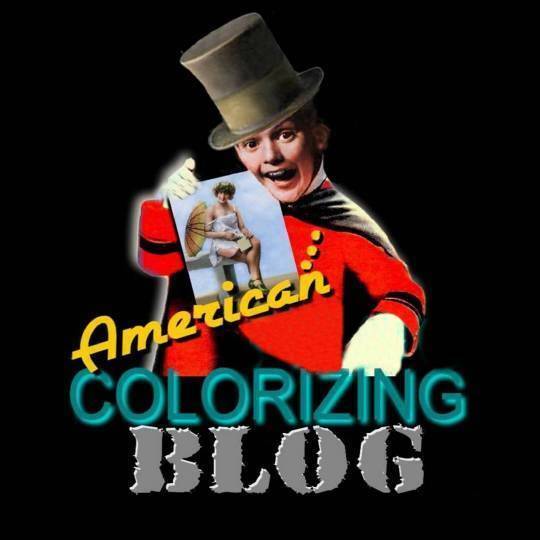 Welcome to the American Colorizing.com photo blog! Our client list includes The History Channel, Ancestry.com, Canada’s Royal Alberta Museum, African-American Civil War Museum in Washington, DC, Baltimore Civil War Museum, State Office of Hawaiian Affairs in Honolulu . . . and so many others. Ever notice how “Orange” Donald Trump’s hair is? WE’RE responsible for that. Yes, it’s been COLORIZED! You’ve probably noticed that our blog has not been publishing on schedule lately. That’s because I’ve been pulling double duty – reformatting our website for WordPress – and working as a Producer for a national broadcast network here in Southern California. So, things have gotten quite busy. We haven’t gone away completely – just reorganizing our lives. You can expect lots of American Colorizing photo blogs in 2017 – our studio’s 16th year in business. Halloween is just around the corner, so here’s a spooky cheesecake shot of Anne Nagel from 1940. And as an added “Treat” (and a little bit of “Trick” photography) – I’ve added a very creative 1908 short film, called “The Haunted House”.